With the new year well and truly underway, now is the perfect time to take a look at ways you can improve your content marketing strategy. One of our predictions for 2019 was that this is the year that video will finally make it mainstream in terms of the marketing mix. Its been much talked about and there is no disputing the growth of video in our social streams but for lots of brands, video has not yet made it into their content calendar. In this post, I’d like to remind our readers WHY it is a great tactic for engaging readers and HOW you should go about integrating video into your blog. First and foremost, there are many ways to use video to ignite your marketing campaigns. One of those ways is with video content. And where better to start than integrating it with your blog and give your content a new lease of life. 1. Videos help break up the text in your blog posts. To help overcome this inevitable truth of readers merely scanning through webpages, articles, and blog posts, using visual content such as videos can help break up the text in your blog posts. Why? Because videos stand out and attract readers. When people are scanning through a copious amount of text, they are most likely to stop at the images. They are also more likely to skim the lines right before and right after the visual to absorb the main points. 2. Videos increase the time spent on your blog posts. A lot of online content is being absorbed by Millennials, one of the most tech-savvy generations of our digital day and age. 90% of Millennials connect online every day, and they are definitely an audience to keep in mind when it comes to using videos to increase engagement with your blog posts, just like how and why you should consider them in your digital marketing plan. In general, Millennials like to view rather than read. Videos are a major driving factor of Millennials’ consumer behaviour, and much of their buying decisions result from watching video content. If you’re looking to use videos to increase engagement with your blog posts, make sure the videos are short and straight to the point. Short videos gain the most engagement. 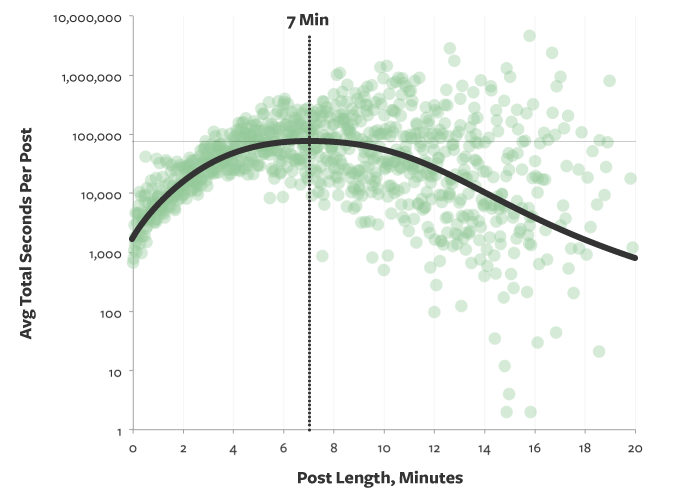 According to HubSpot, the most engagement is seen when videos are about 2 minutes long. You may be thinking, “A 2-minute video seems a little short for all the information I want to include”. Don’t worry about having to explain and go too in-depth to cover all aspects of the topic surrounding your blog post. Using videos in your blog posts is meant to complement the information being discussed, not cover the post in its entirety. OK – You know how it goes. You’ve worked really hard to produce your blog article, It has gone through several review iterations and now you are finally happy to share it with the world. However, for many, that’s where it all goes wrong. You look back at the stats a week or even a month later and you find out that there have been very few views of your precious content. After a few cycles like that, it’s not surprising that blog authors get disheartened and stop. The key to success is promoting the blog effectively. In addition to structuring the blog in a way that makes it more likely to appear in Google search engine results, you should email the blog to your mailing list and publish it on your social channels. Another less used tactic is to produce a teaser video. Essentially this is a short (60 second or less) video that summarises the main points of your blog. This enables your audience to get an overview of your blog content right within their newsfeed. Even if they don’t end up reading the full article at least they get the highlights! The best way to capitalize on video content is to integrate it with your other marketing efforts. When done strategically, videos can be used to help increase engagement with your blog posts. As a result, doing so will also improve how readers interact with your content. Do you need help with video marketing?